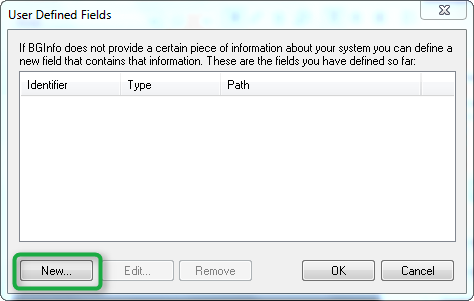 Out of the box BGINFO includes a number of predefined fields that can be used to display information on the desktop such as Computer name, IP Address etc. 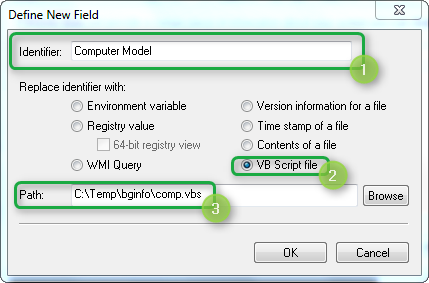 But if the standard fields aren’t enough,BGINFO allows creating custom fields that can pull data from various sources like WMI, Registry, File content, Environment variables or VBScript. Then we open BGINFO and follow the steps as illustrated below. 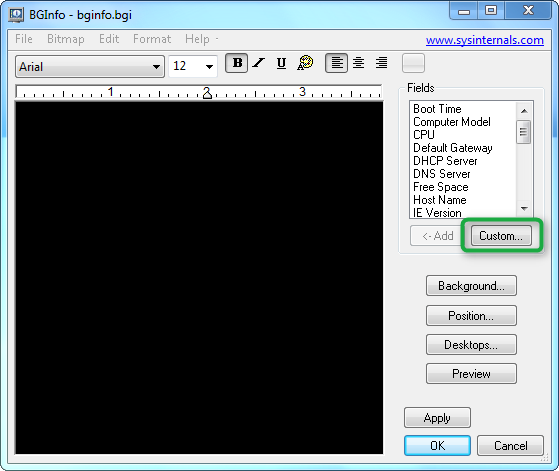 When done we’re saving the configuration, in this case to bginfo.bgi. 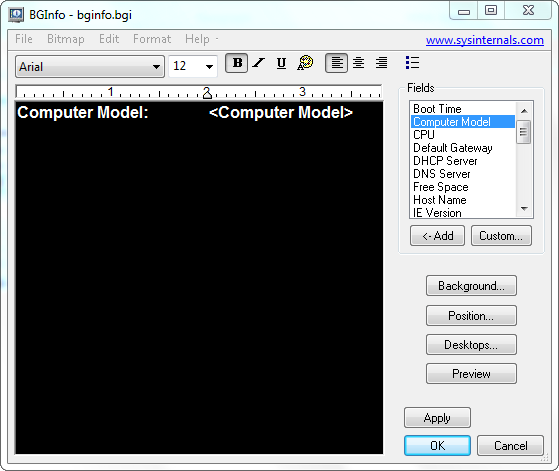 And finally we launch BGINFO using the following command line. and get the following result. If you’re looking for more ideas I recommend you have a look at the BgInfo VBScript Add-On scripts created by Moral Volcano here. Thanks for the excellent and easy to understand post, helped me in a few seconds to understand how to use vbscripts in Bginfo.